16 finalists will cook off on Saturday 16th September to find out who will be the champion of the Slider Decider, to be chosen by a judging panel which includes Emily Gibson, food writer for Metro online. Will last year's returning champ Adam Rawson make it a hat trick? The two-time champion faces tough competition from rival chefs at some of London's top restaurants including Roast, Tom's Kitchen, Senor Ceviche and Ember Yard. Spend £15 and you'll get to try five sliders. Once the winner has been crowned, stay on for a cocktail from the Bontanist's alfresco Bulleit pop-up bar and there's live music to keep the party going. 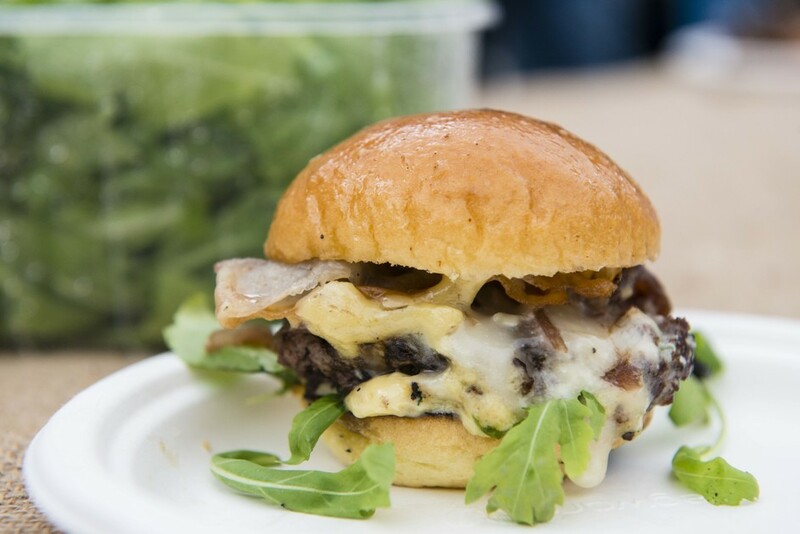 What are the best dining options near Slider Decider London? Slider Decider gyms, sporting activities, health & beauty and fitness. The best pubs near London Slider Decider. Slider Decider clubs, bars, cabaret nights, casinos and interesting nightlife. Where to have your meeting, conference, exhibition, private dining or training course near Slider Decider. From cheap budget accommodation to luxury 5 star suites see our discounts for Broadgate Circle hotels, including Apex London Wall Hotel from 88% off.